15 Important Peer to Peer Lending Companies in 2018-2019 - Ignite Ltd. Peer to peer lending companies continue to be one of the most important developments in the financial world in the past 50 years. The market for P2P loans exceeded $26bn in 2015, and is projected to grow to a staggering $897bn by 2024. It’s crucial for fintechs and financial professionals to familiarize themselves with the space, whether or not their current business plans involve P2P. The reason? It’s likely that before long, every part of the market will involve this technology in some way. Laying claim to the title of first peer to peer lending marketplace in the US, Prosper has facilitated over $7bn in loans. The company provides a full-featured platform for lenders to evaluate borrowers. 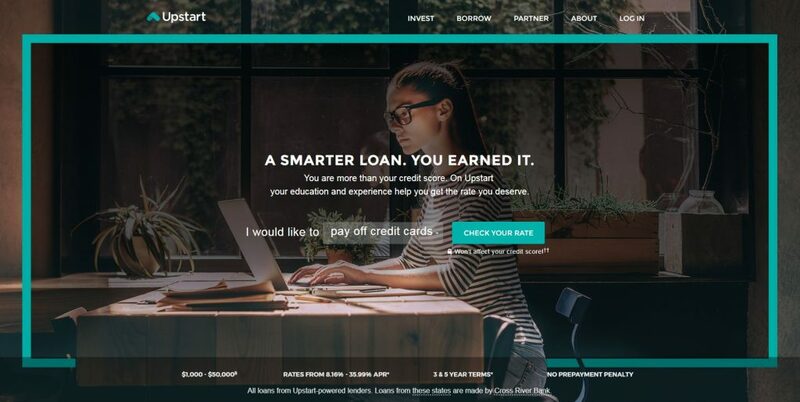 In addition to user ratings and history of successful loans, lenders can view a borrower’s “Prosper Rating”, based on their credit history and a proprietary algorithm. The platform also requires that borrowers maintain a FICO score of at least 600. After some initial growing pains (in 2008, about 18.5% of Prosper loans were in default), the company has found stability. Prosper advertises an independently-verified ROI of about 10% for the period of 2008-2011, and anecdotal evidence from the finance blogosphere indicates this still holds true. Social Finance, or SoFi, has quickly risen to the top of the peer to peer lending industry. With a focus on student loans, the company successfully tapped into the millennial market. In 2017, their revenue was $547 million. SoFi emphasizes the social aspect of P2P. Lenders and borrowers are referred to as members, and the company frequently hosts singles’ happy hours, rock climbing outings, and other events. When a loan goes into default, other members are even encouraged to reach out to them to help them find a job if needed. In 2015, SoFi expanded into mortgages and personal loans, and is continuing to grow today. Lending Club came on the scene in 2006. The company made a splash by launching as one of the first native Facebook apps, and quickly expanded in 2007 by taking on venture capital. It turned out that the rapid growth was a little too rapid, as Lending Club temporarily closed its doors in 2008. By the end of the year, though, they once again began accepting new clients, under a more careful methodology whereby loans are secured by the company. The new approach paid off, as they successfully executed an IPO in 2014. In fact, this was the largest IPO of the year at $1bn. By converting loans into SEC securities, Lending Club is able to facilitate loan trading as an additional income stream. They were the first company to do so, and today enjoy growing revenue year over year. Formed by former high-level Google executives, Upstart relies on advanced analytics to determine creditworthiness. In addition to traditional credit decision methods such as FICO score, the company examines a borrower’s educational and work histories. According to them, this allows them to finetune a borrower’s APR based on their potential for earning. It’s a more fair and more human way of lending. To date, more than $2.4bn in loans passed through Upstart’s platform, with massive growth in 2017. Upstart is also unusual in that they offer a P2P IRA. Clients can leverage the power of peer-to-peer investing to grow their retirement accounts. Contrasting with most other companies in the P2P space, Peerform focuses squarely on the high end of the market. Borrowers must have prime or near-prime credit (typically a FICO score of 600 or higher). This helps keep loan defaults to a minimum, as borrowers have demonstrated an ability to pay. At the same time, lenders must be accredited investors, meaning they demonstrate an annual income of at least $200,000 for two years, or a net worth exceeding $1mm. Although the strict entry requirements limit the size of their market, Peerform hopes this will result in reliably high returns for investors. Like other P2P platforms, Peerform allows investors to fund an entire loan themselves, or work in conjunction with others. Adding further legitimacy, the company also allows institutional investors like mutual funds to participate. Founded in 2004 and launched the following year, Zopa was the world’s first peer to peer lending company. Everything that followed was predicated on Zopa. If the company had crashed spectacularly, then the P2P industry might never have gotten off the ground. It’s a testament to the power of the technology that Zopa is still going strong. In 2017, the company broke the £2bn mark in loans, another industry first. Today, they are approaching £4bn. Taking a slow but steady approach to P2P loans, Zopa has consistently met or exceeded their risk performance projections. Their next step is a move into traditional banking. The Zopa bank is planned to launch in 2018, and will leverage new open banking technologies to provide cutting-edge services to its clients. 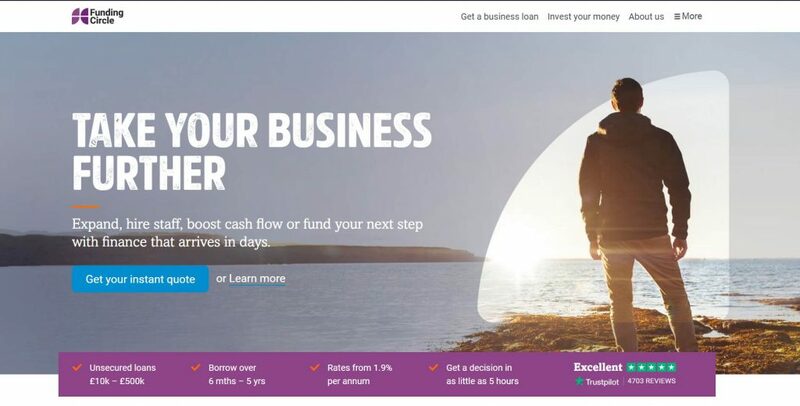 Funding Circle was one of the first P2P companies to apply the model to business loans. By nature of serving businesses, their loans tend to be much larger. In the UK, loans can reach up to £3M for property developers, or £1M for other businesses. Loan caps are smaller in the US and other countries, but still far exceed most personal products. Over time, Funding Circle has somewhat drawn away from the spirit of P2P lending. In 2017, they removed the ability for lenders to choose where their money goes. Instead, investors simply put money into the platform to be automatically allocated, like a mutual fund. Although this has turned away some clients, it has allowed the company to offer a steady, reliable return rate. Most investors enjoy an annual return of 5%-7%, even taking fees and defaulted debt into account. ThinCats, now majority owned by peer-to-peer technology accelerator European Specialty Finance, came on the scene and grew at a staggering pace. By its second year, the company doubled its business every six months, and has hardly slowed down. In fact, the largest peer-to-peer loan in UK history was facilitated by ThinCats, in the amount of £3.5mm to an insurance firm. Much of ThinCat’s success can be attributed to its free membership, high returns of 7-8%, and dedication to transparency. Investors are free to pick and choose where their money goes, in the original spirit of P2P. The actual loan decisions are made via auction, as lenders bid to contribute to loans in £1,000 increments. Interest rates are settled by auction as well for some loans, although the borrower has the option of pre-defining acceptable rates. In 2016, ThinCats added a credit team to support this process by screening applications and monitor the progress of existing loans. Kiva has achieved worldwide recognition by leaning into the power of peer-to-peer lending for social good. The company is a non-profit organization, based in San Francisco and facilitating microloans of up to $10,000, but typically less than $500. These loans are meant for residents of third-world countries to help finance small businesses, schools, or other nonprofits. For example, a Kiva loan might be used to open a shop in rural Africa, or to pay for school expenses for a child. 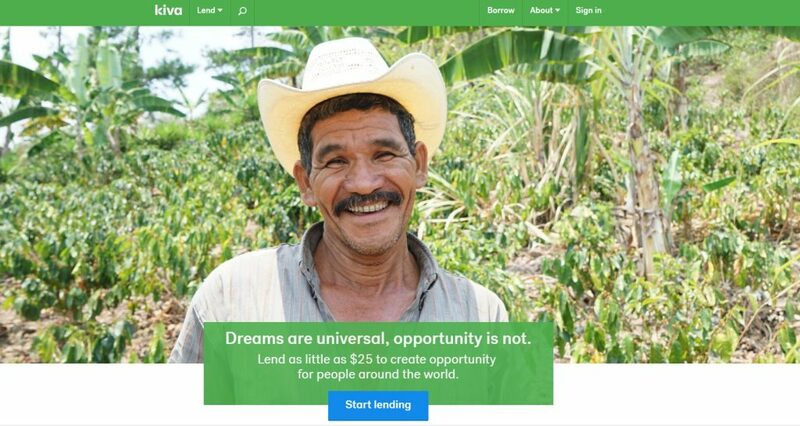 Lenders contribute via Kiva’s online platform, and can pick and choose which causes to fund. Loans are provided without fees, and Kiva itself recoups operating expenses through voluntary donations by lenders and supporters. Kiva maintains volunteers around the world to help their borrowers through the entire process of applying for and receiving loans. The company has funded over $1bn in loans since its founding, with an astonishing 97% repayment rate. A former partner of Kiva, the much smaller Zidisha seeks to streamline the loans process, passing the savings onto borrowers. Their markets are similar. Like Kiva, Zidisha offers microloans to entrepreneurs in developing nations. Loans are financed by direct contributions from users around the world. That is where the similarities end. Where Kiva relies on a vast network of intermediaries to facilitate the distribution of funds, Zidisha handles all its functions online. Borrowers fill out their own applications and manage their own accounts, withdrawing funds themselves. This results in a smaller base of borrowers, as Zidisha requires that applicants have access to an Internet connection. However, it has also allowed them to offer loans at 0% interest, instead charging a fixed 5% service fee. Zidisha is currently available in just a handful of countries, and has encountered problems with loan defaults. Time will tell if they pull through to continue making a difference. Propio seeks to carve out a unique niche in the peer to peer lending market: Real estate investments. Through Proprio’s platform, investors can contribute small amounts to financing small-to-midsize property developers. The developers use the funds to acquire, renovate, and sell properties across the UK. Investors then receive a return in the form of a percentage over their investment. Real estate is a big business and always will be, and it’s a safe bet that Propio investors can expect good returns should the company succeed. Potential lenders can browse Propio’s website for investment opportunities, just like shopping online. Each listing features photos of the property, information on minimum investment and hold time, and expected return. Most properties offer a return of around 8%, with the riskiest opportunities rising to up to 20%. Another P2P company seeking to corner a niche, Mainprise is taking square aim at the bail bonds industry. Like traditional bail bonds, Mainprise offers a way to finance bail payments. If a Mainprise member is arrested, they can count on the company providing funds to post bail. 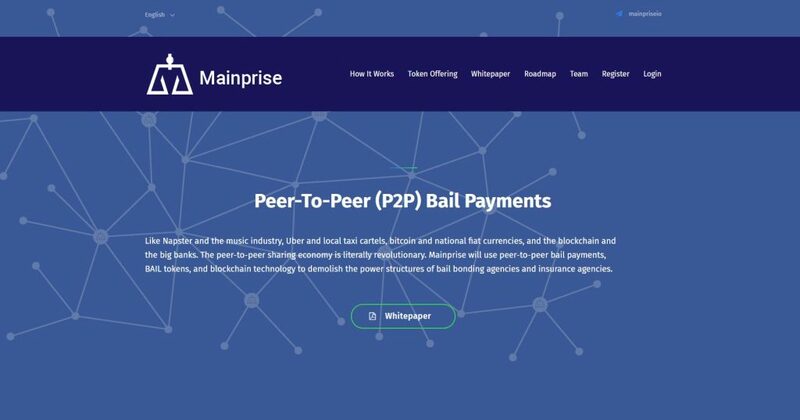 Unlike traditional bail bonds, which are typically secured by collateral or hastily arranged loans from friends and family, Mainprise obtains those funds through P2P lending. Users can contribute to outstanding bail requests through Mainprise’s platform, and receive their money back with interest after the trial begins. Mainprise takes the concept a step further by leveraging blockchain. All transactions are handled via the Mainprise BAIL Token, established on the NEM blockchain. This helps ensure a fraud-free environment, an important consideration when working in the bail bonds market. Headquartered in Florida and boasting 14 offices across the world, Chetu has been operating in the software development sector for nearly 20 years. The majority of Chetu’s development is performed from their two Noida, India facilities. The company has done work for Foot Locker, Petco, Siemens, and other well-known US brands. In the P2P space, Chetu offers services in crowdfunding, lending, invoice trading, and credit analytics. The company generally receives positive reviews, although there have been some complaints about their billing practices. 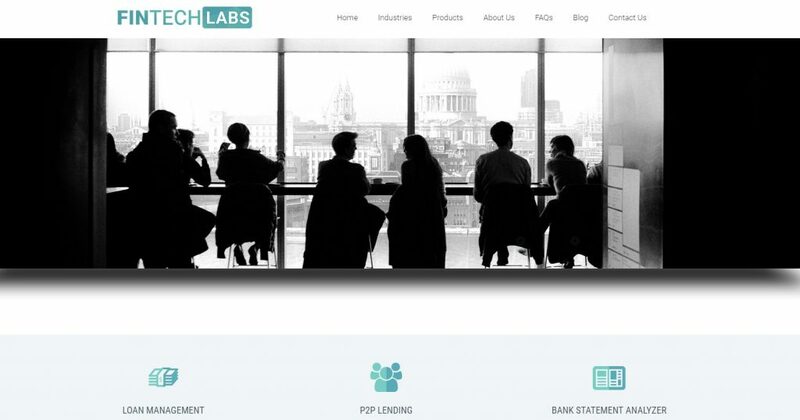 FintechLabs is quite new to the software development scene. As the name implies, they focus primarily on fintech applications. The India-based company has several diverse projects under their belt. Among their clients are P2P lending platforms Paisa Dukan and SmartCoin Financials, both also located in India. Likely due to the size and young age of the company, there isn’t much information available about their performance. Entrepreneurs looking to hire should be always be sure to conduct careful, thorough interviews of their potential technology partners. FintechLabs also maintains their own P2P platform known as P2PForce. This is billed as an off-the-shelf toolkit for building a peer to peer lending firm, letting a new company go from zero to market within 40 days. Headquartered in Israel with offices in Ukraine and across Europe, Ignite has established a innovation for fast, reliable work on the cutting edge of technology. In fintech, the company has built a peer to peer lending platform from scratch, and is ideally positioned to continue advancing the field. Ignite uses Agile methodology to keep clients involved in the development process every step of the way. By continuously delivering executable versions of the work in progress, clients can keep a hand in and make sure that the project never strays from their vision. If you’re looking to innovate in the peer to peer lending space, or just open for business in your unique market sector, Ignite can help. From design consultations to post-launch support, Ignite is a complete one-stop shop for P2P success. Fill out the contact form and we’ll be in touch ASAP.